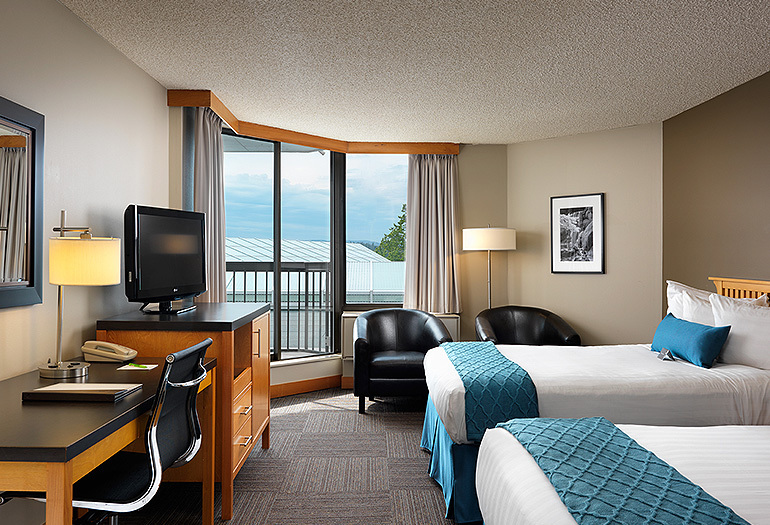 These guest rooms are traditional, standard styled rooms. 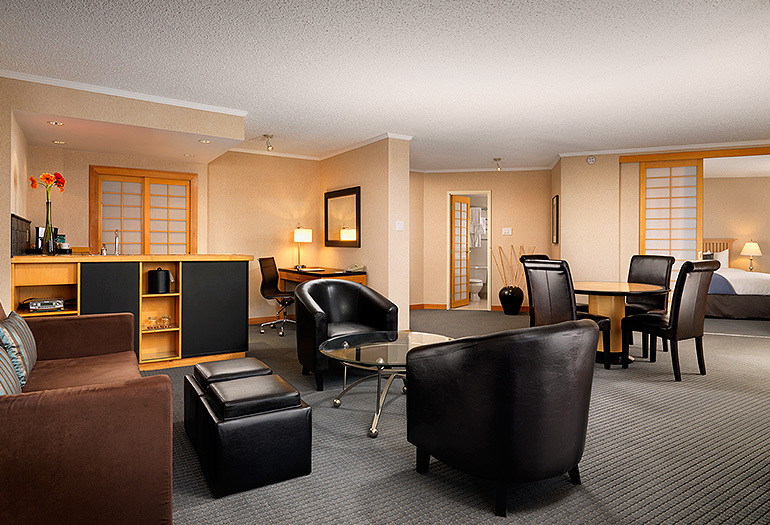 They are available with one king bed, one queen or two double beds. 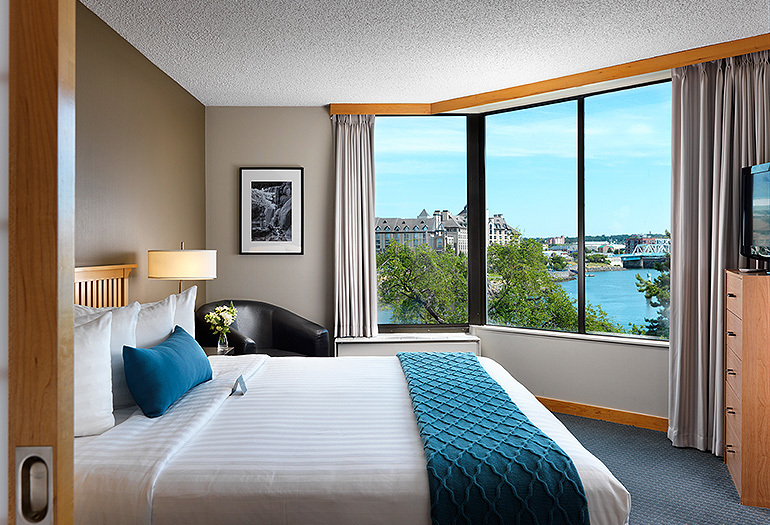 These rooms feature small Juliette balconies you can stand on and views of the water and park peninsula we so proudly inhabit. 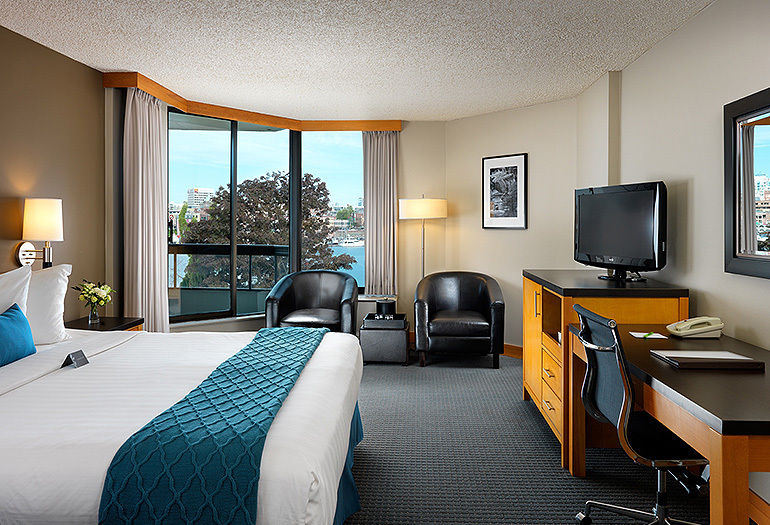 Traditionally styled rooms located on our highest floors, facing Victoria’s iconic Inner Harbour.